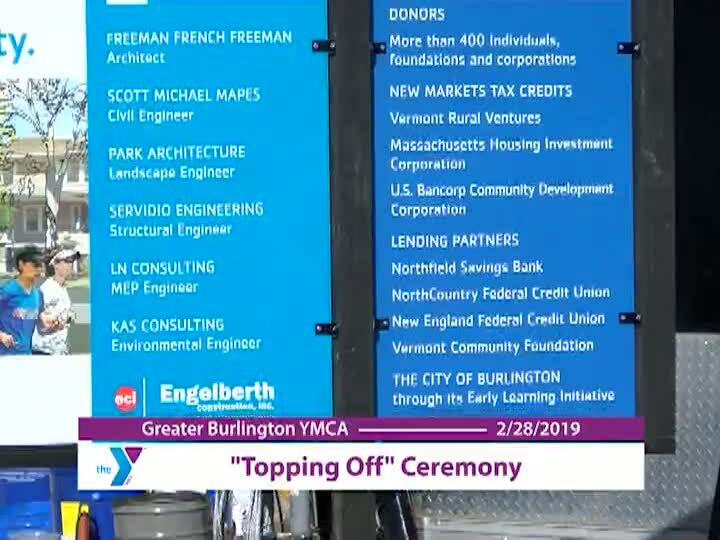 Thursday, February 28th at 1pm, Greater Burlington YMCA leadership gathered with Mayor Miro Weinberger, the community, donors, Y members, child care families, and others for a “topping off” ceremony. Topping off celebrates the milestone when the last piece of steel is lifted into place for the YMCA building project. All who attend are invited to sign this final steel beam and watch as a crane lifts it into place.